You can't go wrong with any part of Ocean City, but if you are looking for beachfront access with a certain level of luxury, you'll find it here in the Gold Coast. With Wesley Avenue as the heart of this neighborhood, the Gold Coast makes up the section of Ocean City just south of the boardwalk, sprawling all the way from 18st to 29th street. In many ways, the Gold Coast is the heart of Ocean City. This is due in part to its rich history alongside the fact that it's positioned centrally between The Northend starting at 1st street and The Southend ending at 59th. Plus, most of the real estate in the Gold Coast is what visitors and locals have come to expect when they think of beachfront living on The Jersey Shore. Movie star and princess of Monaco, Grace Kelly, is no stranger to Ocean City, NJ. Spending every summer in the Gold Coast home her family owned, she is a major attraction in the Ocean City Historical Museum. The brick home was built in 1929 on the corner of Wesley Avenue and 26th street. Part of what makes the Kelly story so special is that the original home still stands today, even though it has not been in the Kelly family since 2001. Even so, the Kelly family continues to vacation in their favorite New Jersey beach town every Labor Day. There's nothing like a reminiscent spirit to keep a community close-knit. Especially since many residents and annual vacation goers of the Gold Coast and Ocean City as a whole still remember the days when royalty came to town. Are you looking for Gold Coast homes for sale in Ocean City NJ? Then click on the map below to view all Gold Coast homes. Few neighborhoods in Ocean City shy away from upscale options, but when the Gold Coast was made famous by royalty it's a little hard to compare. Do you have quite a few cars you need to keep off the street while your family bonds over walks on the sand? An Ocean City home was listed in November 2017 featuring a garage suited to store up to six cars. In essence, we've got you covered. You don't have to be a Grace Kelly fan to love Ocean City. Let the Ocean City Property team help you create family traditions so rich in spirit it won't matter who owned the home before you. Take a look at all of our real-time listings or speak with our team to make sure the Gold Coast is the best choice for you. Want to be closer to the boardwalk or in a more humble abode? 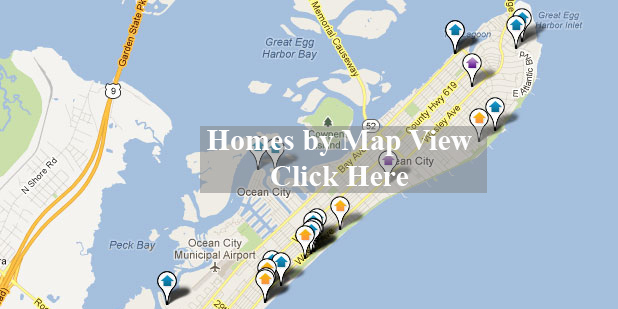 We offer real estate in all eight Ocean City neighborhoods. Be sure to explore our site for more info. Gold Coast homes for sale in Ocean City is our specialty. Below are just a few of the newest Gold Coast homes to hit the market.